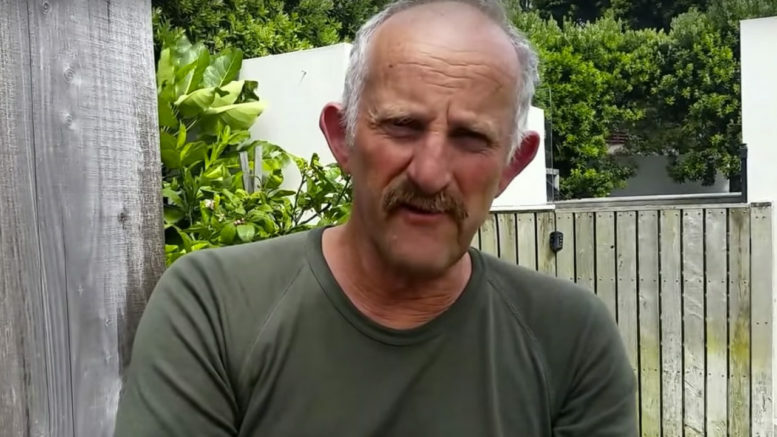 Gareth Morgan describes himself as an “Economist, investment manager, philanthropist, opinionated, addicted global biker, staunch advocate of Kiwi values, Phoenix FC owner & fan”. Most Kiwis would be shocked to think that Mr “Kiwi values” Morgan also justifies terrorism and anti-Semitism – as he has done in his recent blog post and Facebook comments. Many New Zealanders will remember Mr Morgan’s call for all cats to be wiped out, as some cats kill birds. Some will also recall his ludicrous praise of North Korea, and its “magnificent” economic achievements and well-dressed citizens. Morgan has now applied a similar blinkered logic to the complex Arab Palestinian-Israeli conflict, reducing the contentious issue to a simplistic good guy/bad guy argument, demonising Israel in the process and stripping the Palestinians of any responsibility. After a meeting with UNRWA (the United Nations Relief and Works Agency – the only UN agency dedicated to helping refugees from a specific region or conflict and with a unique definition of refugees), Palestinians, and “liberal, centrist” Israelis, Morgan believes that he has sufficient expertise in the long-running and multi-faceted conflict to cast Israel as the sole, monstrous villain in the story. Clearly Morgan was as unquestioning of UNRWA as he was of his guides in North Korea – in fact, Morgan tells us that he’s ”putting some resource in” to help UNRWA. Nevermind the agency has a per capita budget twice that of the UNHCR, which is responsible for all other refugees in the world, and which actually succeeds in resettling refugees. Morgan, following his meeting with UNRWA and like-minded people, reduces the Arab Palestinian-Israeli conflict to a simple argument: Netanyahu is a ‘monster’, and Israel is ruled by the ‘far right’ whose ‘tactics are obscene’, whose ‘behaviour is totally despicable’ and who have ‘lost their humanity’. He describes their mission as ‘pure, unadulterated imperialist aggression’. However, it is difficult to see how Morgan’s narrative squares with historical fact. An imperialist power doesn’t give back land won in a defensive war, as Israel did with Egypt, it doesn’t force its own people to leave their homes and business as Israel did in Gaza in 2005. It certainly doesn’t make the offers for peace as Israel did in 1947, 2000 and 2008. Morgan displays an abject disregard for facts and context when he blames Israel alone for terror attacks perpetrated against Israeli citizens. Among the many factors he ignores – or wasn’t told by those he met with – is the role of incitement by Palestinian leadership and their sponsorship of terror. When asked specifically about the posting of anti-Semitic comments and incitement to violence on Facebook by UNRWA employees, Morgan responded: “If you saw the IDF in action [you] would empathise with that frustration”. Statements such as “Stab Zionist dogs” and posts that glorify terrorism are apparently totally understandable to Gareth Morgan and something to empathise with. The absurdity of Morgan’s blog post continues, as Morgan claims the security fence is “an offensive not a defensive device”. He cites his own military experience as evidence of “having been to several theatres where zones are used to separate hostile sides” and the lack of “a no-man’s-land which acts as a buffer between the two sides”. However, Morgan ignores the fact that the wall was built after the outbreak of intifada in order to stop terror attacks. He ignores the evidence that shows how successful the security barrier is in preventing attacks. He instead attributes the most sinister intentions to Israel that the wall was “designed deliberately to inflict maximum hurt on the Palestinians”. Morgan claims that “the wall and the settlements are the main tools the Israelis are using to attack the Palestinian settlements”. He has nothing to say about the knives, cars and bombs which are the main tools Palestinians are using to attack Israelis. A point made numerous times in both the article and by Morgan in his comments is that the “Far Right” government of Israel does not want two states. Morgan doesn’t want to even engage with anyone until this theory is enshrined as fact, saying “Dialogue…is not really possible unless they acknowledge that Israel’s Far Right does not accept a Palestinian State”. Labelling the protagonists as ‘far right’ apparently gives Morgan permission to use extreme demonising language. Neither the majority of Israelis nor any Palestinian are afforded any agency by Morgan. The continuing terror attacks against Israelis cannot be anything but the fault of the Israeli government, according to Morgan who says “the radicalisation of the population in Palestine is steadily being manufactured by the regime of Benjamin Netanyahu”, as if this Prime Minister wants his citizens stabbed and run over. Morgan ignores, or is ignorant of, the fact that Palestinian society honours those who murder Jews. Instead, a singular devil is named without any hint of objectivity, reason, or fairness. In Morgan’s world, there is no need for the terror attacks to stop or for the Palestinian leadership to even acknowledge Israel as a Jewish state. For Morgan, what’s needed is simply “the UN Security Council … to resolve to censure Israel”. The negotiations that Netanyahu asked of Palestinian President Mahmoud Abbas last month are not the way forward for Morgan – Israel needs to be punished. Just how that will enable negotiation is left for the reader to guess. Morgan tries to call on ‘global consensus’ and UN declarations to bolster his argument, ignoring the fact that certain bodies of the UN, due to their predominantly Muslim and Arab majorities have an inherent anti-Israel bias. Ban Ki-Moon has admitted to this bias on more than one occasion, as did former UN leader Kofi Anan. It is not surprising that Morgan has adopted such a twisted, distorted view of the Palestinian situation given the poisonous well from which he has been drinking. Excusing terrorism and justifying anti-Semitism are not Kiwi values – Mr Morgan should change the description he gives himself or acknowledge there is another side to this story.